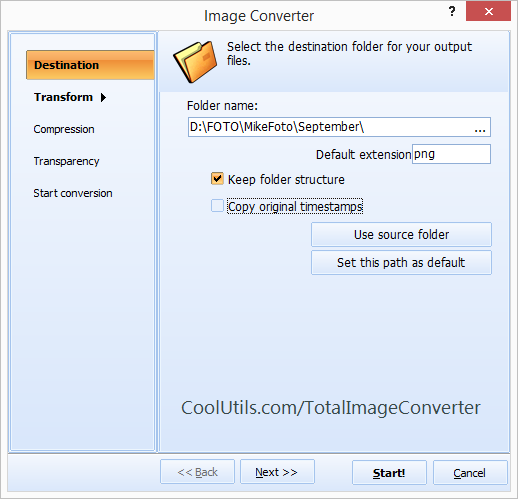 At CoolUtils we know that oftentimes users need to convert TIFF to PCX and other formats in batch and that is why we have created Total Image Converter. This is a unique tool, a batch image converter that allows to process hundreds of files in image format simultaneously. We, however, also learned that our users also need to convert TIFF to black and white PCX and that is why we have updated the converter by including the black and white algorithm. Now you can convert files and change them to BW all at one time! To learn how to convert TIFF to PCX, please, refer to the article entitled "Convert TIFF to PCX In Batch" available on CoolUtils official website. Now we'll teach you to convert TIFF to PCX and select BW algorithm. 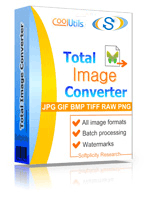 First, you should download the latest version of Total Image Converter or upgrade the one you have. You can do it on the official website of CoolUtils. Then, in the left-hand column of the converter, select the folder where the TIFF files you want to convert are located. Then, in the middle column select the TIFF files you want to convert. Finally, click on "PCX" button to set it as target format. You will see a new window entitled "Convert images to PCX". On the left-hand side choose the BW Algorithm section. You'll be offered to select the algorithm for black and white conversion. The choices you have are: Floyd-Steinberg, Threshold and Dithering Ordered. Select the one that meets your needs best. After this, you can either proceed with automatic conversion by clicking "Start!" or make other changes. As usual, you can play with the image color, add watermarks, and much more. 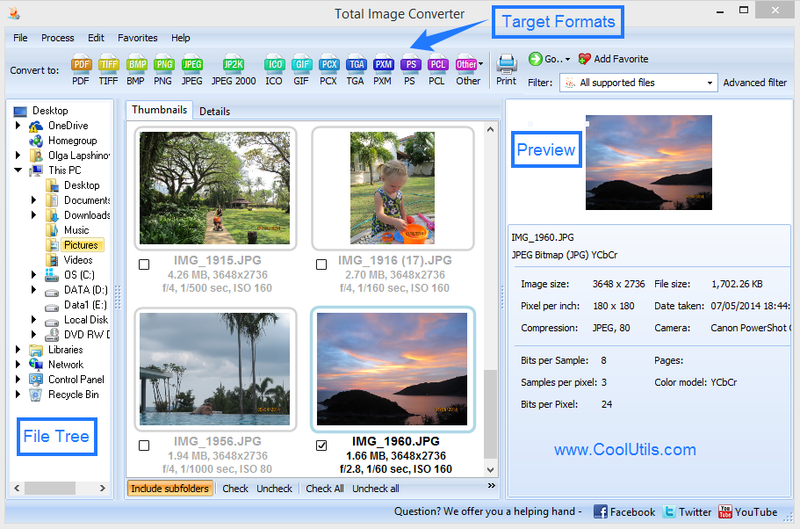 To download the latest version of Total Image Converter by CoolUtils, please, click here!